Located in the heart of Istanbul's most popular district, Taksim, Chambers of the Boheme is truly the most beautiful hostel with an unbeatable location, extreme comfort and sincere customer service. Our tourist information desk will give you FREE city maps and all the information you need about Istanbul & Turkey. Don't book any tours in Istanbul or in Turkey without asking us first! Situated in a beautifully restored 19th century building, Chambers of the Boheme offers the glamour of the Bohemian lifestyle, without compromising modern comforts. Private, semi-private, and family-style rooms are available. Relax in our large common area and patio, or socialize with other global travellers in our newly renovated espresso bar. 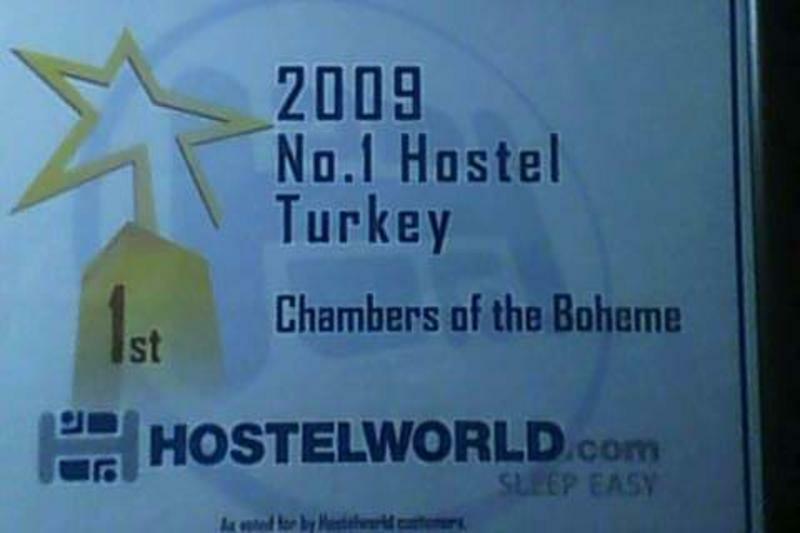 Named Turkey's #1 Hostel in 2009, we're certain your stay in Istanbul won't be the same without staying at Chambers of the Boheme. With over 750 positive recommendations, you are sure to be delighted with your experience. BY BUS: From Atatrk or Sabiha Gkcen Airports, take the Havas Bus (approx. 12 TL / 6 ) to Taksim Square. Walk 3 minutes down ?stiklal. Take the second left (at the McDonald's) and we're located on your left.